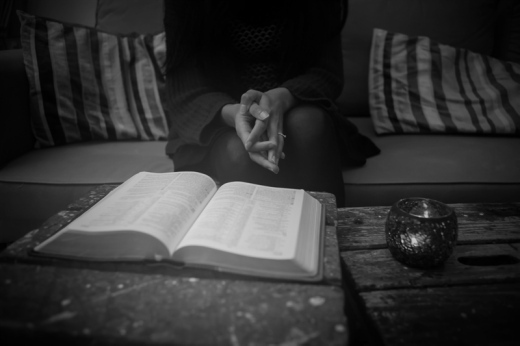 Girlfriends in God - Did You Know You’re Contagious? Rejoice in the Lord always. I will say it again: Rejoice! (Philippians 4:4 NIV). Have you ever noticed just how contagious grumbling is? Someone complains, and the next thing you know you’ve joined in and are complaining right along with them. How do you think that grumbling started with the children of Israel in the wilderness? I think it went like this. One person picked up her manna for the day and said, “You know, I’m sick of this manna.” Then someone else picked up his and said, “Come to think about it, I’m sick of it too.” Then a neighbor agreed and it spread, and it spread, and it spread. Next thing you know 2 million people are grumbling and complaining. Then a sea of ingrates wandered around the desert for forty years. But just as grumbling ingratitude is infectious, so is grateful gratitude. One day I was in the airport headed to New Jersey. It was a typical rush, rush, rush morning. Grab the bags, trudge through traffic, hunt for a parking space, follow the herd, wade through security, dash to the gate. Before settling in at my gate, I decided to make one last trip to the restroom. I’m so glad I did. It was one of the most joy-filled places I had been in a long time. Gretchen, the “hostess” for this privy, donned a silly little hat on her head with whimsical feathers waving about the top. If it wasn’t for the official attendant’s vest she was wearing, I might have thought she was on her way to Mardi Gras. With a spray bottle in one hand and a cloth in the other, Gretchen welcomed each “guest” into her “home.” “Come right this way,” she cheered as she opened a stall door for her next visitor. A woman in a green jacket exited a stall and Gretchen swooped in behind her. Squirt, squirt, squirt with the disinfectant. Wipe, wipe, wipe with her cloth. With all the poise of a valet opening the castle doors for a person of honor, Gretchen welcomed each woman as if she were the most important person in her day. I stood back and watched as this 5-foot-5-inch bundle of joy wiped off toilet seats and cheerfully invited her next guest into the pristine stalls. Gretchen had an effervescent sense of joy … wiping toilet seats. It seemed to come from a deep-seated heart of gratitude. And it spilled over to every single woman who left her station. Women entered weary and worn and left with a skip in their step and a smile on their face. Some even lingered…as if they wanted to soak in just a little bit more before facing the world. I was one of them. On the counter rested a tip jar filled to the brim with thanks. But I don’t think the “tips” were for wiping the germs away from the toilet seats, but for wiping the doldrums away from their hearts and frowns off of their faces. And for some strange reason, I just wanted to give Gretchen a hug. I did. She didn’t mind. Gretchen reminded me just how contagious gratitude and joy can be, and how desperately I want to be a carrier. I hope you do too. God, I am so thankful today. Thank You for eyes that see, ears that hear, lips that speak, legs that walk, and arms that hug. Thank You that I have a roof over my head, shoes on my feet, and food in my pantry. I pray You will set a guard over the door of my mouth so that no grumbling will escape its threshold. Help me be a contagious carrier of gratitude. Get a piece of paper and write the numbers 1-100 down the left-hand side. Then write down 10 things you are thankful for by numbers 1-10. Tuck the list into your Bible and add to the list as things you are grateful for come to mind. When you get to 100, email me at Sharon@sharonjaynes.com and say, I made it to 100! Isaiah 5:8 (NRSV) Ah, you who join house to house, who add field to field, until there is room for no one but you, and you are left to live alone in the midst of the land! Since home ownership is deemed to stabilize capitalist economies, many countries encourage their citizens to take loans and buy homes. This, however, has a dark side as old as the Bible: greed, speculation, trickery. Remember the housing bubble bust in 2007 and 2008? After an exciting season of real estate prices going through the proverbial roof, the market dropped like a rock, and hundreds of thousands of men, women, and children had their homes foreclosed upon by banks, and then were evicted. Tent cities began to appear all over the country for the first time since the Great Depression. Whether you live in a fancy house or a humble abode, whether you own your home or rent, consider yourself lucky to have a roof over your head! Hundreds of thousands of people live in shelters. Tens of thousands more live in their cars or in tent cities. Still others live on the streets. How would we explain this disparity to Jesus? Many of us have heard the Christmas story often. This Christmas, why not share the good news with others that Christ—“the light of the world”—has come (John 8:12). Lord, help me this Christmas to reflect the light of Your presence and goodness to others. Read more of the Christmas story in God of the Stable at discoveryseries.org/hp145. The gift of God’s love in us can bring light to any darkness. … Yo soy la luz del mundo; el que me sigue, no andará en tinieblas… (Juan 8:12). Cada año, durante las semanas previas a la Navidad, Orchard Road, la franja turística de Singapur, se transforma en un mundo maravilloso de luces y colores. El propósito de este show de luces es atraer a los turistas para que gasten su dinero en las numerosas tiendas de la zona. Los consumidores llegan para disfrutar de las celebraciones, escuchar villancicos navideños y presenciar espectáculos. El primer show de luces de Navidad no se produjo gracias a cables eléctricos, brillos ni luces fluorescentes, sino a que «la gloria del Señor […] rodeó de resplandor» (Lucas 2:9). Ningún turista la vio, sino solo unos sencillos pastores que estaban en sus campos. Y no solo eso, sino que le siguió una inesperada interpretación de un coro angelical, que decía: «¡Gloria a Dios en las alturas…!» (v. 14). Los pastores fueron a Belén para ver si lo que el ángel había dicho era verdad (v. 15). Tras haberlo confirmado, no pudieron callar lo que habían visto y oído. Entonces, «al verlo, dieron a conocer lo que se les había dicho acerca del niño» (v. 17). Muchos hemos oído con frecuencia la historia de la Navidad. Este año, ¿qué tal si compartimos con otros la buena noticia de que Cristo, «la luz del mundo» (Juan 8:12), nació para salvarnos? Señor, esta Navidad quiero reflejar tu luz en mi vida testificando de ti. Jedes Jahr in der Weihnachtszeit verwandelt sich Singapurs Touristenmeile, die Orchard Road, in ein Meer von Lichtern und Farben. Die Beleuchtung soll Touristen zum Geldausgeben in den vielen Läden entlang der Straße animieren. Den Besuchern werden zahlreiche Attraktionen geboten. Chöre singen bekannte Weihnachtslieder und Künstler zeigen ihre Darbietungen. Die erste Weihnachts„beleuchtung“ geschah nicht mit elektrischen Leitungen, Glanz und Neonlicht, sondern „die Klarheit des Herrn leuchtete“ (Luk. 2,9). Nicht Touristen sahen sie, sondern ein paar einfache Hirten auf den Feldern. Begleitet wurde sie von der eher unerwarteten Darbietung eines Engelschores, der „Ehre sei Gott in der Höhe“ sang (V.14). Die Hirten liefen nach Bethlehem, um zu sehen, ob das, was die Engel sagten, stimmt (V.15). Nachdem es sich bestätigt hatte, konnten sie es nicht mehr für sich behalten, was sie gesehen und gehört hatten. „Als sie es aber gesehen hatten, breiteten sie das Wort aus, das zu ihnen von diesem Kinde gesagt war“ (V.17). Viele von uns haben die Weihnachtsgeschichte schon oft gehört. Warum nicht diese Weihnachten mit anderen die gute Nachricht teilen, dass Jesus—das Licht der Welt—gekommen ist (Joh. 8,12). Herr, hilf mir, diese Weihnachten etwas von dem Licht deiner Gegenwart und Güte an andere auszustrahlen. Das Geschenk von Gottes Liebe kann Licht ins Dunkel bringen. Каждый год на несколько недель туристический маршрут в Сингапуре с названием «Дорога орхидей» превращается в разноцветную и сияющую страну чудес. Иллюминация привлекает туристов, которые тратят свои деньги во множестве расположенных вдоль улицы магазинов в течение этого «золотого месяца для бизнеса». Покупатели приходят полюбоваться украшениями, посмотреть на представления и послушать хоровое исполнение знакомых рождественских песнопений. Первая рождественская «иллюминация» состояла не из электрических кабелей и неоновых ламп. Вифлеемское поле осияла «слава Господня» (Лк. 2:9). Туристы еще не облюбовали это место, там было лишь несколько простых пастухов. Несмотря на это ангельский хор радостно воспевал: «Слава в вышних Богу!» (Лк. 2:14). Пастухи отправились в Вифлеем, чтобы увидеть то, о чем возвестили ангелы (Лк. 2:15). Увидев новорожденного Христа, они не могли удерживать в себе то, что видели, и «рассказали о том, что было возвещено им о Младенце этом» (Лк. 2:17). Многие из нас не раз слышали рождественскую повесть. Давайте рассказывать всем, что Христос – «свет миру» (Ин. 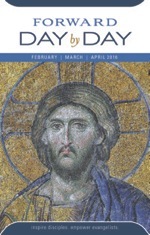 8:12). Господь, помоги мне отражать свет Твоего присутствия и благости перед всеми людьми. Дар Божьей любви в нас может просветить любую тьму. 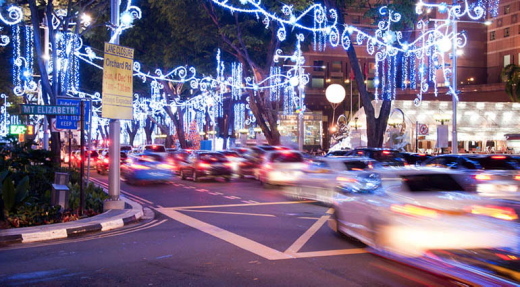 Chaque année, pendant plusieurs semaines avant Noël, la ceinture touristique de Singapour, l’Orchard Road, se transforme en féérie de lumières et de couleurs. Ce festival des lumières vise à attirer les touristes afin qu’ils dépensent leur argent dans les nombreux magasins qui longent cette rue durant le « mois des affaires en or ». Les gens y viennent pour jouir des festivités, entendre les chorales chanter des cantiques de Noël bien connus et assister à des spectacles divertissants. Le tout premier « festival des lumières » ne s’est d’ailleurs pas créé grâce à l’utilisation de câbles électriques, de paillettes ou de néons, mais grâce à celle de « la gloire du Seigneur [resplendissant] autour d’eux » (LU 2.9). Aucun touriste ne l’a vu, seuls quelques simples bergers dans les champs, et il a été suivi d’une interprétation inattendue par une chorale d’anges du chant « Gloire à Dieu au plus haut des cieux » (V. 14). 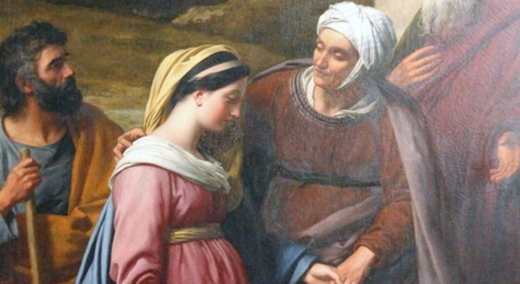 Les bergers se sont rendus à Bethléhem pour voir si les anges avaient dit vrai (V. 15). Après en avoir obtenu la confirmation, ils n’ont pu garder secret ce qu’ils avaient vu et entendu : « Après l’avoir vu, ils racontèrent ce qui leur avait été dit au sujet de ce petit enfant » (V. 17). Nous sommes très nombreux à avoir déjà entendu l’histoire de la Nativité. Ce Noël, pourquoi ne pas répandre la bonne nouvelle que Christ – « la lumière du monde » – est venu parmi nous (JN 8.12) ?